World War II brought vast changes to American civilian life including blackouts, housing shortages and the rationing of everything from coffee and sugar to tires and gasoline. 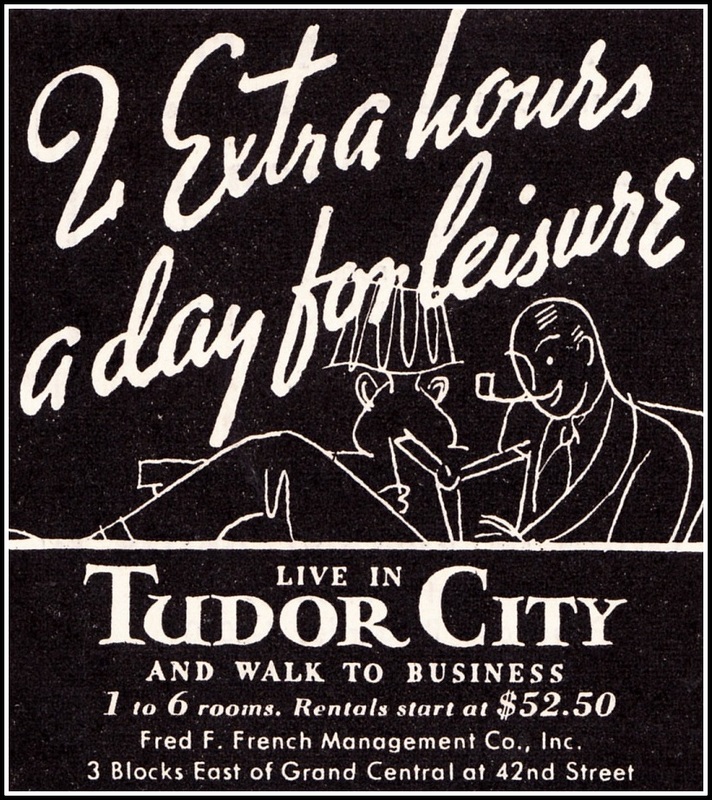 Tudor City advertising promised solutions for many of these challenges. 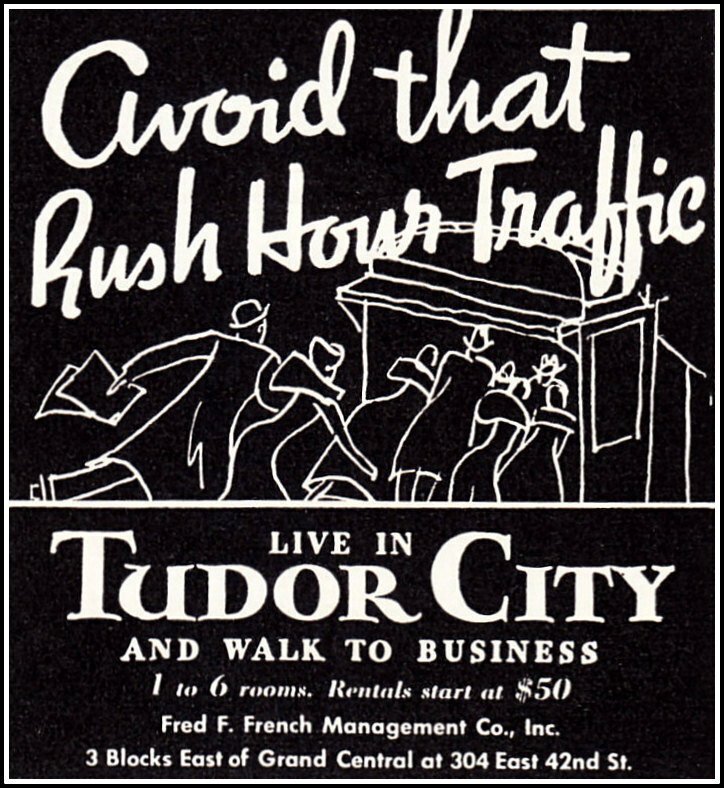 "Live in Tudor City and Walk to Work" in 1941. 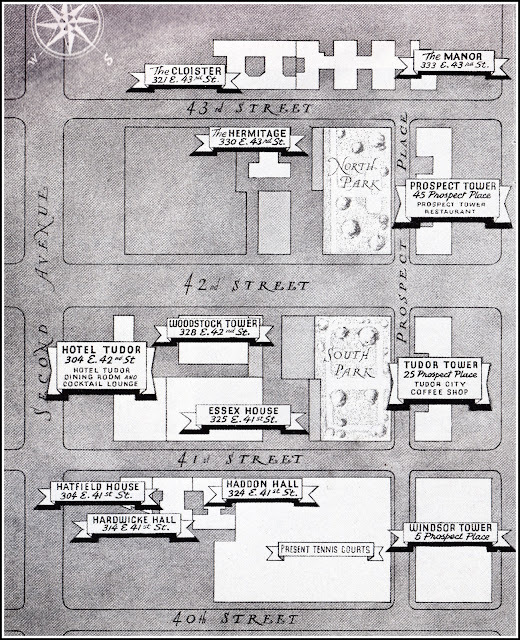 The "three fine restaurants" mentioned were set in Prospect, Tudor and Woodstock Towers. By the end of the war, Prospect's restaurant was the only one still operating. As the war dragged on, New York became the principal port of embarkation for soldiers traveling overseas, and a flood of visitors led to a citywide housing crunch. 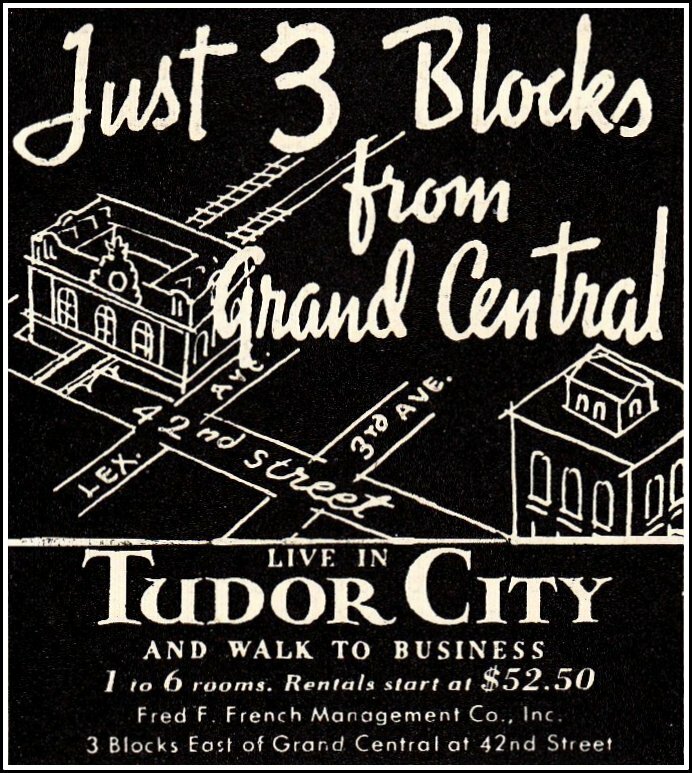 Tudor City, always well-rented through the '30s, was now fully rented. 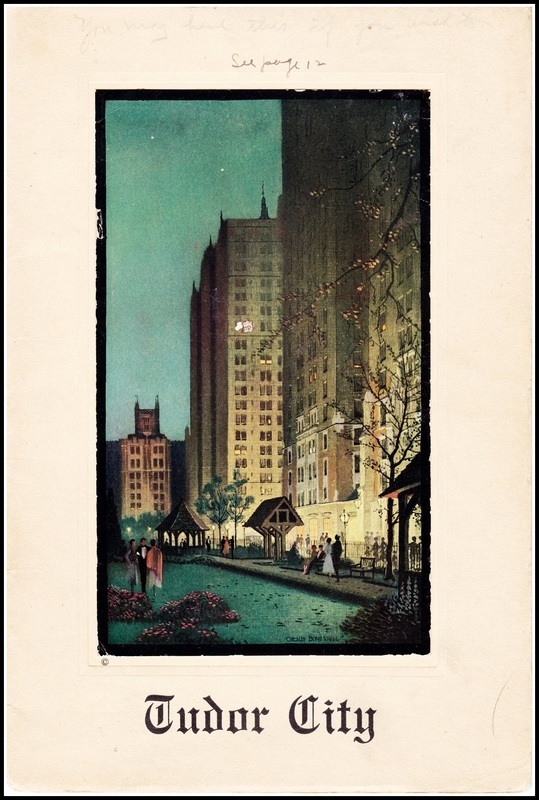 Advertising for the enclave ceased in mid-1943, never to resume again. 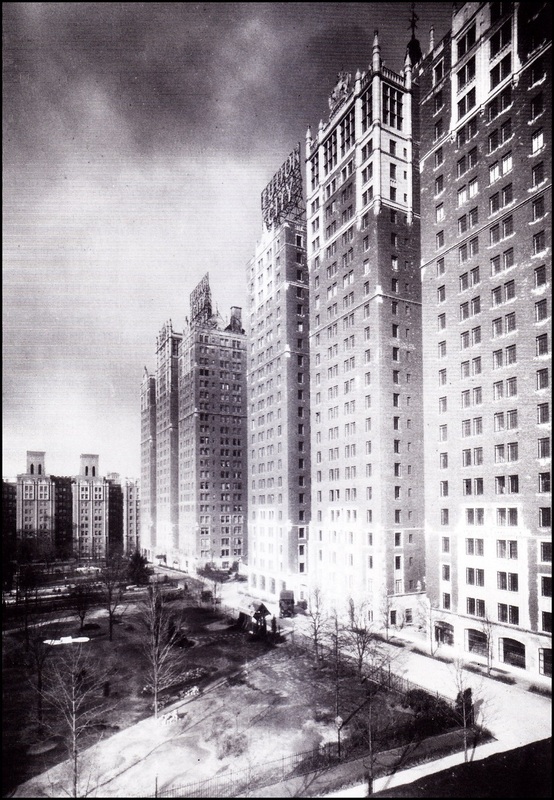 Advertising stopped because of a post-war housing crunch (blamed on the lack of new construction during the Depression and war years). Then rent control regulations -- put into place to prevent price gouging by landlords -- were enacted in 1943, and the deal was sealed. 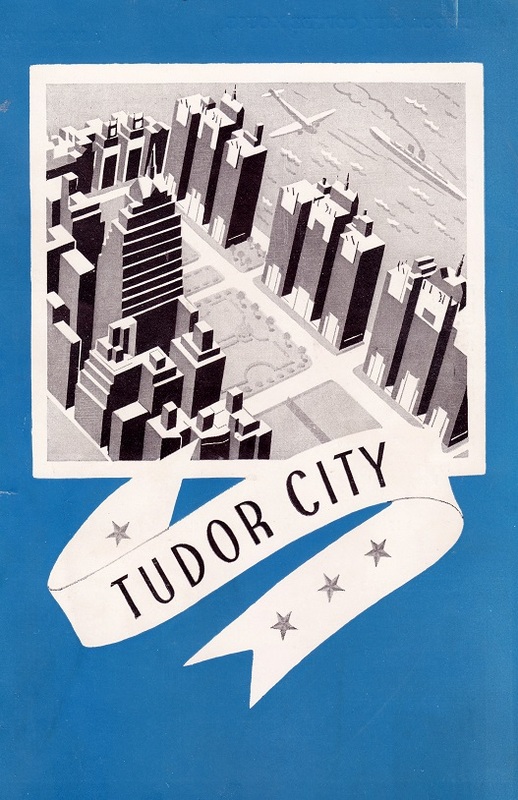 Many Tudor City residents remained in the complex for the rest of their lives, given the favorable rents.